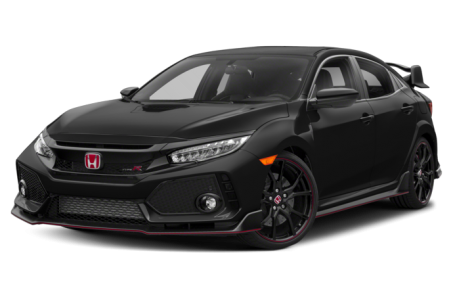 The 2018 Honda Civic Type-R is an all-new, high-performance version of the compact Civic hatchback. Powering the Civic Type-R is a 306-hp, turbocharged 2.0-liter four-cylinder engine mated to a six-speed manual transmission. Maximum cargo capacity is 46.2 cubic feet with the rear seat folded down.